Your cruise will take place on the MS Royal Emerald | 5 Star Luxury for Less with Teeming River Cruises. Learn more about your ship. Including all taxes and port charges! BS224 is the only Single Cabin. All Prior Passengers ALWAYS receive 10% off any fare, any cabin, any date. Embark the 5 Star MS Royal Emerald in the cultural capital of the Netherlands, Amsterdam, for this springtime adventure! Visit some of the oldest fishing & trading ports such as Hoorn & Veere along with historical, bustling cities of the Netherlands and Belgium where you can learn about the building of Polderlands, ships, and windmills. Visit the famous Keukenhof Gardens from the port of Amsterdam. We recommend you make this visit at the end of the cruise but please be aware that it is not easy to predict when the tulips will be in bloom. We stop in beautiful Ghent Belgium, the home of chocolate and lace. Enjoy Ghent’s romantic streets and canals or travel by train to spend a day in stunning Bruges. Perhaps you would like to experience traditional Dutch farming or sample and see the local produce and flowers at one of the biggest market halls in the Netherlands in Rotterdam in your free time. 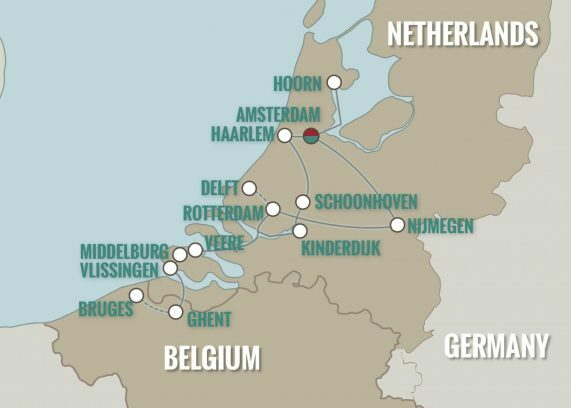 The best time to see the Low Countries is in the spring, and the best way to see them is on Teeming River Cruises 10-day cruise. We have something for everyone on this memorable sailing! Welcome to Amsterdam! Your Old Netherlands in the Spring Cruise begins here in the Netherlands’ capital. If your arrival schedule permits, take a Canal Ring (a designated UNESCO World Heritage Site) tour on the charming waterways lined with 16th and 17th century merchants’ homes and warehouses, visit one of the renowned city museums (e.g. Amsterdam Rijksmuseum. Van Gogh Museum, and Stedelijk Museum in Amsterdam), tour the Anne Frank House (note: online tickets are made available on their website two months in advance, please plan accordingly), or simply stroll through the lively streets. This modern city with old world charm and historic significance provides the perfect starting place for your Teeming River Cruises’ tour. After settling in your cabin, which will be your floating hotel room for the duration of the cruise, please join us for a mandatory safety meeting in the lounge. Explore the historic maritime city of Hoorn, lined with gable brick row houses and stylish shops. This seaport town was one of the trading cities that joined forces to create the Dutch East India Company, explaining Hoorn’s prominence as a center of trade during Holland’s Golden Age. Stroll the Rode Steen, the picturesque main square overlooked by the striking façade of the Westfries Museum and former cheese warehouses. Wander through the lively harbor area, still studded with sailing boats and centuries-old warehouses. Admire the imposing Hoofdtoren defensive tower, dating to the 16th century. Completely restored in the 1900s, this prominent landmark now houses a restaurant. Pose beside the three bronze cabin boys (representing heroes of the children’s books by Johan Fabricius) on the quay wall and listen with them to “the voice of the sea, which entices and intoxicates”. Schoonhoven is a charming 13th Century town that is easy to get around by foot. Known as the “Silver City”, Schoonhoven will delight you with its history of artisan gold and silversmiths. Also known for its clocks and variety of shops and boutiques. Visit the Dutch Silver Museum or explore the old city walls of this gorgeous port. Enjoy the UNESCO World Heritage Site of Kinderdijk, a charming village renowned for having the largest concentration of old-style windmills in the Netherlands. At one time, windmills were used to help control flooding in the Netherlands, pumping massive amounts of water out of the lowlands and creating arable land known as polders. Although most windmills have since been replaced by newer technology, a group of 19 impressive 18th-century windmills still function in Kinderdijk. Ascend the steep stairs of a mill and look out over fields which would be nonexistent if it weren’t for this impressive Dutch ingenuity. You will have ample opportunity to immerse yourself in a charming Belgium town. In fact, you can choose between two. Discover the picturesque port city of Ghent known for its medieval architecture. Feast your eyes on the 12th-century Gravensteen castle, the majestic Cathedral of St. Bavo, the Old Market (Groentenmarkt), and the Graslei (i.e. a row of guildhalls along the Graslei Canal). Or you could travel to the captivating Medieval city of Bruges. Not only the capital of West Flanders, this fairy-tale marvel has also earned the distinction of being a UNESCO World Heritage City. Step into Bruges and back in time, strolling the cobblestone lanes and dreamy canals. In fact, due to the wealth of canals in Bruges, it is often referred to as “the Venice of the North”. Enchanting market squares are lined with architectural masterpieces. Taste the old-world charm of the Historic Centre of Bruges, tour the De Halve Brewery, meander through the Markt, or explore the Groeninge Museum. Prepare to lose your heart in this captivating Belgium jewel. 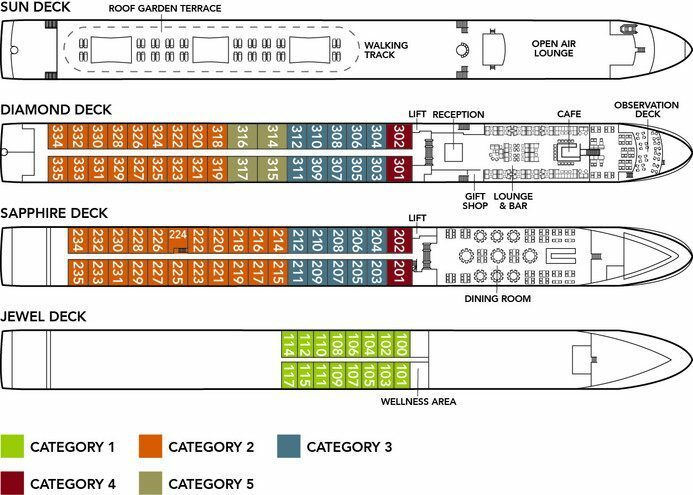 Guests departing on April 2 will need to disembark by 10 AM. Vlissingen is a lively seaside and tourist resort that attracts thousands of visitors every year. The Boulevard is the most famous part of Vlissingen and runs parallel to the beach with hotels and restaurants sprawling across the promenade. Stroll along this waterfront treasure and experience impressive ships so close you can almost touch them. The city holds 300 monuments to which it owes its typical maritime character. As you cruise into the major port city of Rotterdam with its impressive skyline, you will understand why it’s often referred to as the “Manhattan on the Meuse”. Although the city dates back to 1340, the city center was almost completely destroyed in World War II. The reconstructed cosmopolitan city is now known for its modern, unique architecture. Some of these architectural highlights are the Cube houses, Erasmus Bridge, Euromast, Van Nelle factory, and Kop van Zuid. For something more quaint head to Delfshaven, one of the most pleasant districts in Rotterdam. Since this area was spared during the WW II bombings, it is filled with historic buildings and exudes the charm of pre-war Rotterdam. Discover the Pilgrim Fathers’ Church where the pilgrims gathered before setting sail for America. Visit the city brewery (i.e. De Pelgrim) and a replica of an 18th-century warship (i.e. De Delft). If you’re up for something a little quirky try Rotterdam street golf in historic Delfshaven through treacherous cobblestones, old bridges, and narrow alleys. http://rotterdamstreetgolf.nl/docs/meedoen.htm Alternatively, you could head to the delightful nearby Dutch town of Delft (12 minutes by train), home to the famous Delft porcelain factory and painter Johannes Vermeer. As one of the oldest cities in the Netherlands, Nijmegen will be sure to delight! It was once a fortified city and is full of interesting historic buildings and museums such as the Valkhof Museum, a fascinating museum with Roman antiquities and famous art pieces and once the site of a Roman camp. The war memorials commemorate the residents of Nijmegen who were killed during World War II. It is also home to the oldest shopping street in the Netherlands, the Lange Hezelstraat. Nijmegen is full of delights! Your cruise comes to an end back in the incredible city of Amsterdam. As we complete our tour, our hope is that your journey has been a delight to the senses as you have tasted of the cultural enjoyments, rich history, and breathtaking beauty of the Netherlands and Belgium. Depart after breakfast to explore this world-class city on your own. If you’re staying on in Amsterdam, today would be a perfect day to round out your Old Netherlands in the Spring Tour with a trip to the nearby Keukenhof Gardens abloom with tulips and/or Zaanse Schans Windmill Village. While this is the end of your cruise, your memories will live on from your Old Netherlands in the Spring Tour. Thank you for cruising with Teeming River Cruises, where vacations come first and memories last. 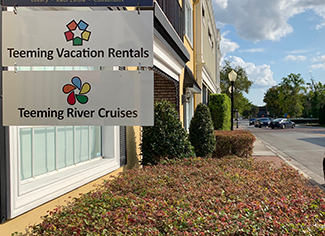 Please Note: For navigational reasons and passenger safety, Teeming River Cruises and the captain reserve the right to modify the cruise itinerary as necessary. These Optional Excursions may or may not be offered, since availability is subject to number of participants and weather conditions. Coming Soon! Our Newest Addition to our Cruise Director Staff. Freddie Langston is a rare solo performer in that he has had such a varied history of venues in which he has performed. From an island in the Philippines on which there has never been power, to a stage in Washington with then President Ronald Reagen, there is an acquired stage sensitivity that is needed for a connecting performance in today’s world. Freddie has the rare blend of many decades of performance with the wit and energy of a kid. (In fact, his wife of 50 years wishes he would grow up 😉) In the 60’s he performed for over 500,000 college and high school students in assemblies and concerts. With five recorded albums and accumulated material, Freddie brings to any event a wide array of songs and panache that is widely appreciated. These past two years Freddie has been playing at Disney Springs on the Strolling Piano, a magical remote control piano stage. Freddie’s spontaneity has been such a great asset for the wonderful acceptance the piano has enjoyed. This has been the case in playing the strolling piano at fairs in California, and Seaworld and Universal Studios. 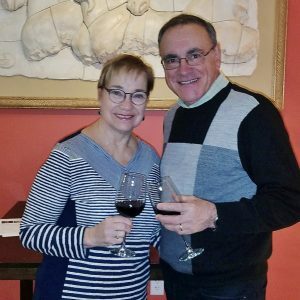 INTRODUCTION TO THE WORLD OF WINE Join wine enthusiasts Floriano and Sue Pavao of Cape Cod, Massachusetts on a journey of the senses as you learn dozens of tips and tools to “demystify” the world of wine. No prior knowledge of wine is required and participants will depart with a new sense of confidence in selecting, purchasing, tasting and “talking” wine. Topics covered include the wine language, reading a wine label, corks and corkscrews, bottles and wine glasses, and a step-by-step demonstration in sniffing/swirling/sipping and savoring! Includes wine-tasting of four varietals. 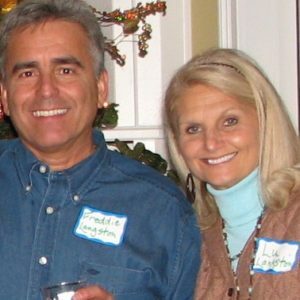 BIOGRAPHY Floriano and Sue Pavao of Cape Cod are lifelong wine enthusiasts with a passion for sharing their love and knowledge of this wonderful and complex beverage. Floriano is a semi-retired school administrator; his Wine 101 and Wine 102 classes at Cape Cod Community College continue to consistently fill to capacity. Sue’s wine experience is derived from her many years as an independent wine consultant with “The Traveling Vineyard”, a home wine-tasting business popular in the late 1990s; Sue continues to offer in-home wine classes/tastings and together Sue and Floriano conduct “Introduction to Wine” presentations at many social venues on Cape Cod. Drink Packages will be available for house wine, beer (draft beer only), and sodas in the Restaurant. Soda, Beer and House Wines with Lunch and Dinner is $129 per person for the 10 day cruise, $78 per person for the 6 day cruise, and $65 per person for the 5 day cruise. All other drinks and cocktails are available at an additional cost. The Drink Package does not include drinks in the ship’s lounge. All Port Taxes & Fees Are Included in the Price! Itinerary and inclusions are subject to change. Disruptions in cruising and itinerary may occur. Prices are for cruises only. Flights are not included. Transfers to and from the airport are not included in cruise fare. Drink packages exclude premium spirits and select wines, which are available for an additional fee. Shore Excursions are not included in cruise fare. These may be purchased for an additional cost. Due to currency fluctuation, pricing shown is subject to change until purchased.